I was enchanted with the Grimm Brothers’ fairy tales from the moment I read them as a little girl, sick and lonely in hospital. I was only seven, but I still remember the transformative experience of reading the tales by myself for the first time. I had been given a copy of the edition translated by Lucy Crane in 1882, and illustrated by the exquisite line drawings of her brother Walter. The tales were bound in red leather with gilt lettering, like something rare and precious. That book began for me a lifelong fascination with fairy tales. That was, I am sure, the moment in which I learned that stories cannot exist without a storyteller. Wilhelm recovers and takes up his quill again. Papers fly everywhere, and then – with a crescendo of dramatic music – a great thick leather-bound book appears, filled with tales of adventure and wonder. I was riveted to the screen. So that’s how it happens, I thought to myself. That’s how books are made. I remember watching that scene, sitting in the back seat of my father’s car at a drive-in movie theatre, with a big lump in my throat as if I had tried to swallow a whole handful of popcorn. I had to wipe my eyes on the sleeve of my t-shirt. I might have been ten or eleven, a skinny kid with long brown plaits and scabby knees and fingers always marked with blue ink from all the scribbling I did myself. What I felt was a kind of longing. I wanted that moment for myself. This was not a flash of epiphany in which I realised I had to be a writer. I already knew that. I’d written at least two novels already by then. Maybe three. 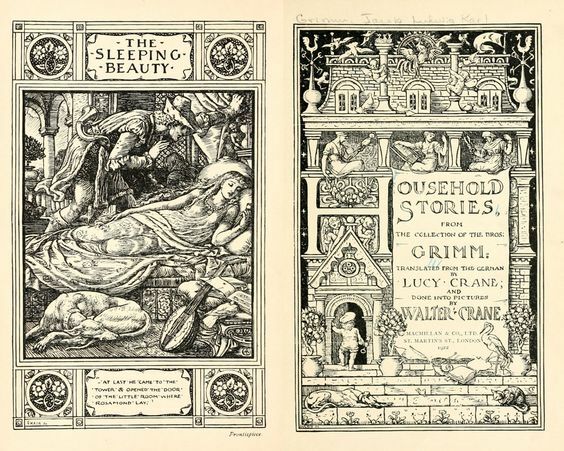 The Wonderful World of the Brothers Grimm was, however, the moment in which I became interested in the tales behind the tales… in the history and the meaning and the purpose of stories. Soon afterwards, I read The Glass Slipper by Eleanor Farjeon and The Stone Castle by Nicholas Stuart Gray, novels which quickened my lifelong love of fairy tale retellings. As I grew up, I discovered C.S. Lewis’s retelling of ‘Cupid and Psyche’, Till We Have Faces, and Robin McKinley’s Beauty. At university, I studied ‘Children’s Literature’ and ‘Culture, Myth and Symbolism,’ and read Jung, Bettelheim, Warner and Zipes for the first time. By now I was getting published… a poem here and a story there… and I was writing a novel which drew on ‘The Little Mermaid.’ A girl who cannot speak, whose every step in the world hurts her. I dressed in flowing velvet dresses with boots, and tried to grow my hair long enough to sit on. My interest in fairy tales continued. I bought books with titles like Redemption Motifs in Fairy Tales and The Witch Must Die: The Hidden Meaning of fairy Tales. I kept on reading, I kept on writing, I kept on being published. Then, one day, I decided to write a story which had been haunting my imagination for as long as I could remember – a retelling of ‘Rapunzel.’ To help me do the story justice, I wrote my novel Bitter Greens as part of a Doctorate of Creative Arts and so got to spend three or four years steeping myself in fairy tale studies. When I begin a new novel, the first thing I do is begin compiling my library. I hunt out all the old rare and cobwebby books on my subject that I can – and the fresh, bright ones, too. Then I begin to obsessively read. One of the books I bought for my research was called Clever Maids: The Secret History of the Grimm Fairy Tales by the US writer and academic Dr Valerie Paradiž. It examines the oral and literary sources of the famous tales, giving names and a history to the storytellers who had passed on their lore to Jacob and Wilhelm Grimm. Most of them were women. For example, ‘Aschenputtel’ was told by a poor old woman in a workhouse in the small medieval town of Marburg. ‘Little Red Cap’ was told by Jeannette and Marie Hassenpflug, young middle-class women of French descent who met often in a storytelling circle in Hesse, the town in which the Grimm brothers lived. They were also the sources of ‘The Robber Bridegroom’ and ‘Briar Rose.’ Their brother Louis married the Grimm brothers’ younger sister, Lotte. ‘The Goose Girl’ was told by Dorothea Viehmann, widow to an innkeeper, who came to the Grimms’ house selling vegetables. She also told Wilhelm ‘Hans My Hedgehog’ and ‘The Lazy Spinner,’ among numerous other tales, and was immortalised by Wilhelm’s description of her as the perfect storyteller in the introduction to the second volume on tales, published in 1814. (In the 1980s, this extolling of Dorothea Viehmann by the Grimms – when all the other tellers were kept anonymous – was interpreted as a kind of literary fraud by the American academic John M. Ellis. He theorises in his book One Fairy Tale Too Many that the Grimms deliberately set out to create the myth that their tales were told to them by poor old German peasants, and so deliberately concealed the identities of other, more bourgeois tellers. His theory has caused quite a lot of controversy but has not ultimately dimmed the Grimm brothers’ lustre). Dortchen Wild told Wilhelm Grimm almost one quarter of the Grimm brothers’ first collection of fairy tales. She also, in the end, married him. So, when Wilhelm stepped off the train in Berlin to a crowd of adoring children clamouring for a story in The Wonderful World of the Brothers Grimm, it should have been his wife Dorothea who drew the children close and told them a story. Yet in the movie all she does is listen and smile. Perhaps it was the injustice of this that made me want to tell her story so passionately. Perhaps it was because I too was a storyteller struggling to make my voice heard. Perhaps it was because the true love story of Wilhelm Grimm and Dortchen Wild was far more full of drama and heartbreak and triumph than any script cooked up by MGM. The wonderful folks over at Allison and Busby have offered a copy of Kate’s brilliant fairytale novel for one lucky #FolkloreThursday reader this month! Once there were six sisters. The pretty one, the musical one, the clever one, the helpful one, the young one … And then there was the wild one. Dortchen Wild has loved Wilhelm Grimm since she was a young girl. Under the forbidding shadow of her father and the tyranny of Napoleon’s army, the pair meet secretly to piece together a magical fairy tale collection. 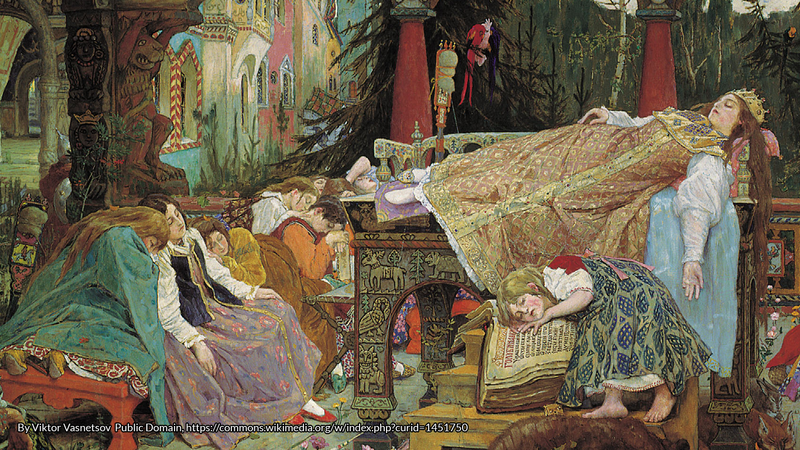 The story behind the stories of the Brothers Grimm. Sign up for the #FolkloreThursday newsletter to enter (valid April 2017; UK & ROI only). & Importance of Fairy Tales, Vintage Books, UK. of Fairy Tales, Basic Books, USA. Farjeon, E. 1962, The Glass Slipper, Richard Clay & Company, UK. Gray, N.S. 1972, The Stone Cage, Dobson Books Ltd, UK. Folktale, The University of Illinois, USA. Basile, and Perrault, The University of Illinois, USA. McKinley, R 1978, Beauty: A Retelling of the Story of Beauty and the Beast, Harper Collins Children’s Books, USA. Grimm Fairy Tales, Basic Books, USA. Kate Forsyth wrote her first novel at the age of seven, and has now sold more than a million copies internationally. Her novels include The Beast’s Garden, a retelling of ‘The Singing, Springing Lark’ set in the underground resistance to Hitler in Nazi Germany; The Wild Girl, the story of the forbidden romance behind the Grimm brothers' fairy tales; and Bitter Greens, a retelling of 'Rapunzel' which won the 2015 American Library Association Award for Best Historical Fiction. She has just finished writing a novel called Beauty in Thorns, which tells the extraordinary love story behind the Pre-Raphaelite artist Edward Burne-Jones's famous painting of 'Sleeping Beauty.' 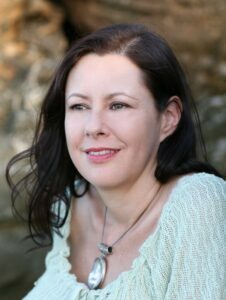 Kate’s books for children include The Impossible Quest, The Gypsy Crown and The Puzzle Ring, which was hailed as ‘a richly told tale of history, magic and intrigue by a wonderful storyteller.’ Named one of Australia's Favourite Novelists, Kate has a doctorate in fairy tale studies and is an accredited master storyteller. You can find out more about her books on her website, and follow her on Twitter for updates on her work.